Swedish progressive metal group Opeth is without doubt one of the greatest bands, if not the single greatest band, over the period of the last two-and-a-half decades. Through 12 studio albums, the band has continuously explored new dimensions of their creative expression, and even though they always maintained an instantly recognizable Opeth flavor in all of their work, they never shied away from experimentation and change in musical direction. For better or for worse, the death-metal-Opeth versus clean-singing-Opeth debate and division will always exist, but all fans and critics agree in unison that Opeth still remains one of the finest live acts going around, still able to deliver material of all varieties with equal precision and power. To present this quality of their musicianship, the band released three concert films with corresponding live albums, in 2003, ’07 and 2010 respectively. 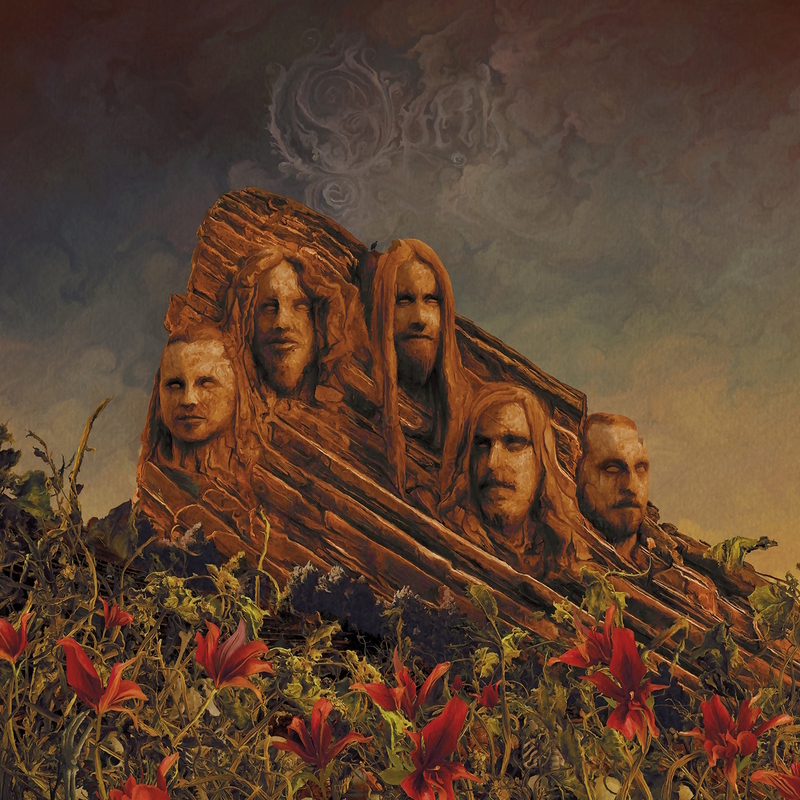 On Friday November 2 2018, Opeth unveiled the fourth release of this kind, Garden Of The Titans: Live at Red Rocks Amphitheatre, on DVD, Blu-Ray, CD and vinyl. A special, exclusive, one-off theatrical screening of the concert film was held at The Montalbán in Hollywood on the eve of the full release. One could not have imagined a more apt way to get the first taste of what is truly a brilliant offering by a brilliant band. The European concert and festival market is much more lauded than its American counterparts, and rightly so, but the US of A still offers its fair share of unique, historic venues and settings that have compelled many bands to record their concert films in this country. The Red Rocks Amphitheatre, located 10 miles west of Denver, Colorado, is one such setting, with its visually stunning scenic landscape and one-of-a-kind natural acoustics. 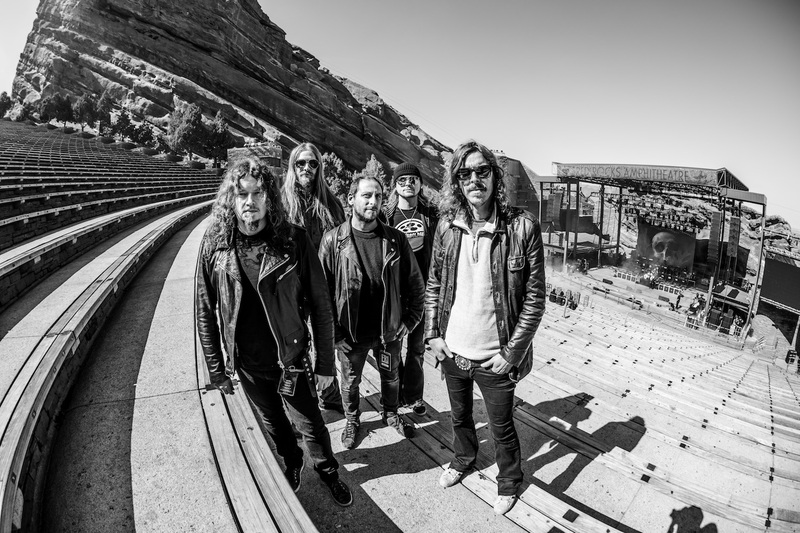 Several bands and artists ranging from John Denver to A Perfect Circle have televised and filmed their concerts at Red Rocks, and now Opeth becomes the latest in the series, the first progressive metal band to do so. On May 11 2017, Opeth performed at Red Rocks as part of a mini-tour promoting their latest studio album Sorceress, and a full recording of that show gave rise to the concert film and live album that is Garden Of The Titans, the title directly based on the venue’s former name from 1906-28. Showcasing the entirety of Opeth’s 88-minute, 10-song performance at Red Rocks, Garden Of The Titans keeps its approach simple and to-the-point, presenting the aural and visual brilliance of the concert in all its glory. The setlist / playlist includes as many as 3 songs off of Sorceress, as expected, but along comes a more than acceptable representation of most of the band’s other albums, new and old. The production and direction of the film is top-notch, as multiple camera angles treat viewers to close-ups of the band members, but it was equally crucial for the filmmakers to capture the beauty of Red Rocks, and they did just that, with sweeping panoramic shots cutting away from those of the band at regular intervals. 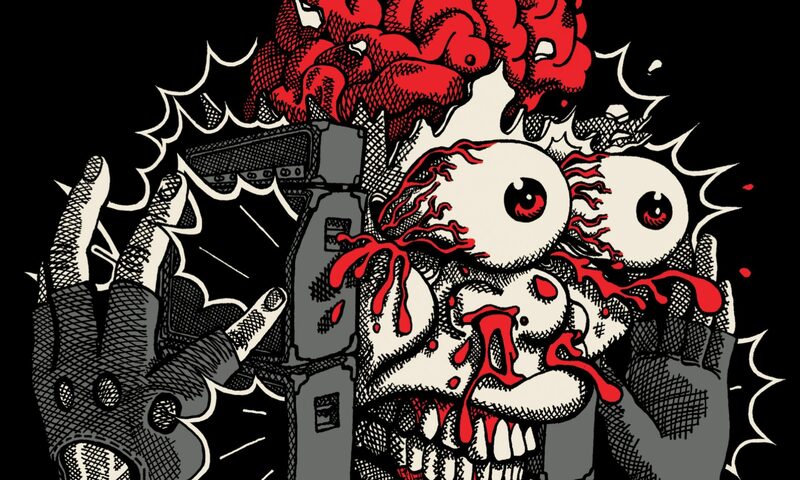 Many metal concert films of recent times have been guilty of over-editing and uncomfortably fast, headache-inducing frame change rates, but thankfully this is not one of those films. The pace and editing is seamlessly smooth and extremely easy on the eye, as shots are allowed to breathe and pan out before switching to the next one. It almost goes without saying that the audio quality of this film would be extra-important considering the band in subject is Opeth, and Garden Of The Titans nails this aspect to perfection, capturing the sonic mastery of this band as well as it is humanly possible. Besides, the humorous crowd banter of frontman Mikael Akerfeldt has also been retained in full. This film leaves no stone unturned in giving you a front-row experience and much more. From the beginning of the film to its very end, any and every Opeth fan would be thrilled to bits, compelled to watch and listen in a meditative physical and mental state. A must-have in all Opeth fans’ collection, and an ideal starting point for those new to Opeth or unfamiliar with the band, Garden Of The Titans is nothing short of a modern pinnacle in concert filmmaking and live recording. A release of such class and quality is the one and only way of getting concertgoers to put their mobile devices down during a show these days, and even in the seemingly dire climate of the modern music industry, bands serious about their craft should certainly invest more in live video and audio recordings. In addition to the film being offered on mass physical formats, it must be mentioned that the cinematic experience of viewing Garden Of The Titans in a theatre like The Montalbán was truly mind-bending in itself, and made this release all the more special for the band’s diehard Los Angeles fans gathered in attendance. It emphatically proved that there is strong merit in concert film releases being accompanied by theatrical screenings. A masterclass in every sense, Garden Of The Titans is 88 minutes of pure magic.